Blackstar Amplification expands its award-winning Series One (S1) range with the introduction of three new heads, a 2x12 cabinet and a standard-sized 4x12 cabinet. The Series One range of tube amplifiers has quickly gained acclaim among guitarists looking for the ultimate in tone. The new models, a direct result of feedback from end users, are the S1-50 Head, the S1-104EL34 & S1-1046L6 Heads, the S1-212 Cabinet and S1-412PRO A/B Cabinets. 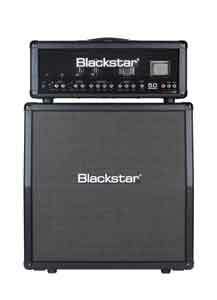 For more information, please visit www.blackstaramps.co.uk.